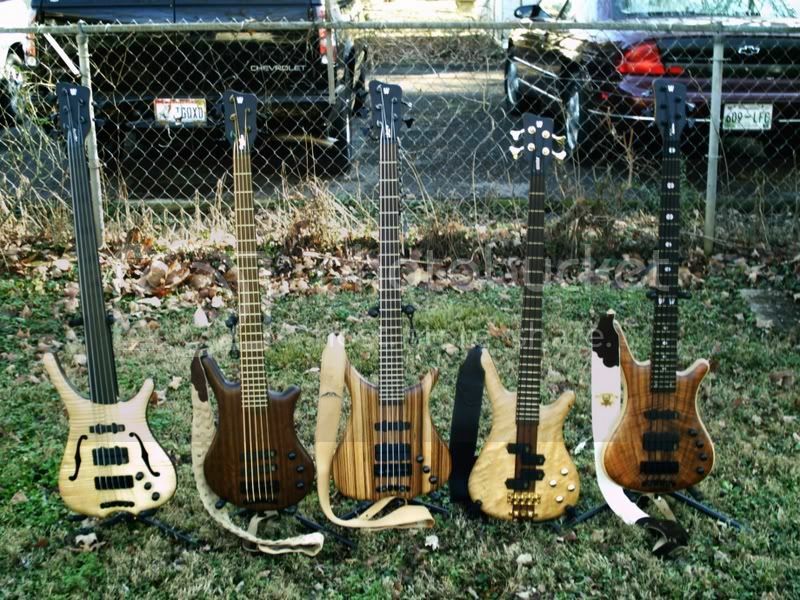 Discussion in 'Bass Guitars' started by jester, Jan 27, 2012. Guess I should get on an updated family photo when the rain quits and the sun is out, huh? That was a stunning collection! Out of the ones in that pic, I most miss the Infy SN5. Cary still has the Streamette, so I can cruise 30 minutes up to Jax and 'borrow' it anytime I want to, so it's not really gone. Otherwise, I'd say I miss the Streamette most. He's actually got the '04 right now too, for recording purposes. Geez.. you should see our two collections put together. Rivals a section of the Nashville CS showroom wall! Stunning! I'm actually at a loss for words right now. Magnificent collection man! !